Lord, you refresh me by your presence and in your promises. Teach me to rely more and more on you, especially . . . . . I will bless her with abundant provisions; her poor will I satisfy with food. Comment to think about: Lord Jesus, my need is deeper than I can know. But your gracious provision for me in the cross goes far beyond my need. Satisfy my . . . . . . .
# 1 No Half Measures!! Please think about this and I will be looking for comments about your half-measures. Lord, I sometimes take half-measures in my walk with you. But you never befriend me halfheartedly. Teach me to trust all you’ve promised in Christ Jesus . . . . .
All Your Needs Have you ever gotten news too good to be true? During this 25 days of devotions you will read promises sent directly from God’s heart to your heart. They are very good. Best of all, they are completely true. Rest in them! This is the preface written by Jane at the beginning of her book. cyber friends. I hope you will join in with me and make comments as to how it has inspired you on a daily basis. Please join my blog and be inspired each day! # 1 No Half Measures!! My God will meet all your needs according to his glorious riches in Christ-Jesus. Please think about this and I will be looking for comments about your half-measures. Have a Blessed Day!! #2 SATISFIED? I will bless her with abundant provisions; her poor will I satisfy with food. Lord, you refresh me by your presence and in yourpromises. Teach me to rely more and more on you, especially . 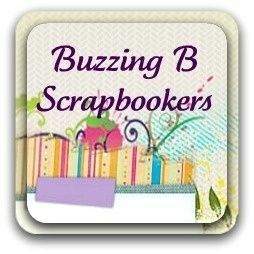 . . . .
Scrapbooking Store in the Pittsburgh, PA area near the Pittsburgh International Airport. We offer card making classes, birthday parties, ladies night out events, or just an outing day or evening working on your scrapbook.